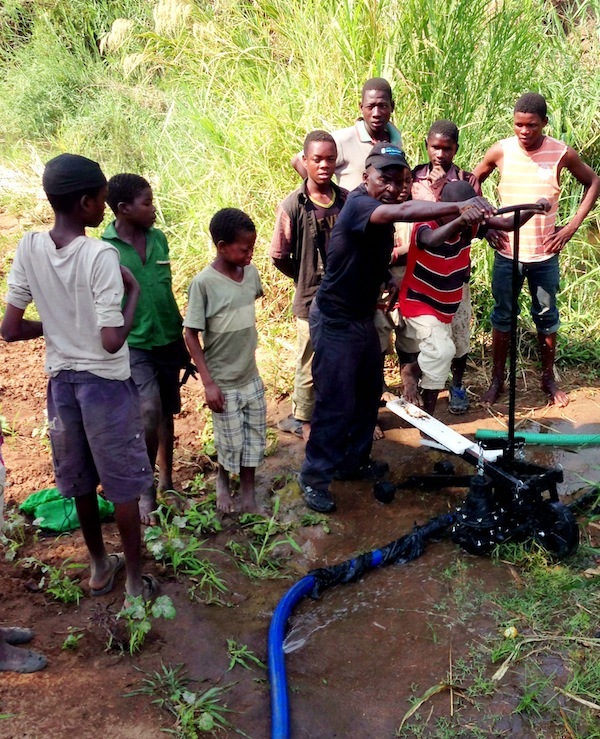 When water technology company Xylem started manufacturing simple pumps for smallholder farmers, it wasn’t for charity, the company expected to profit. Its new Essence of Life line caters to the everyday water needs of farmers with small plots of land, among some of the world’s poorest customers. Like any of its customers, Xylem expects these farmers to pay for the right product at the right price. “Many of us in the water business – Xylem and its peers – are engaging in a lot of the same strategies: premium products in premium markets,” said Keith Teichmann, vice president and director of innovative networks and marketing at Xylem, in a recent interview with Global Envision. But during a brainstorming session, Teichmann says, the water technology giant recognized a huge missed business opportunity. So Xylem developed the Essence of Life program to focus on the water needs of the 1.5 billion smallholder farmers who live on less than $2.50 per day, said Teichmann. By doing so, Xylem became one of the few original equipment manufacturers making water management products directly for the individual smallholder farmer. Why does Xylem insist on selling the pump, when it could just give it away? Teichmann answered by sharing what he learned during an interview in Nairobi with a World Bank consultant. Without a sustainable business plan, efforts to help the poor can burn out. Although the profit margin on Essence of Life products is smaller than other products, Teichmann said it’s vital. In projecting profit, Teichmann said businesses must evaluate what will sustain the product strategy while keeping in mind that the target market is at a very low socioeconomic level. Thinking creatively about product design, manufacturing, and distribution has helped Xylem find that balance. Xylem cuts production costs by partnering with nonprofit organizations and government agencies to distribute the pumps–groups that know these rural communities well. That service component is crucial, Teichmann said. If farmers can’t get repairs or replacement parts, even the most innovative and necessary product becomes useless. Quality and service are just as critical to smallholder farmers as they are to other customers, said Teichmann. Smallholder farmers are a market that’s often ignored in this regard. Though it takes time and imagination to see sustainable business possibilities, Teichmann said he believes the effort is worth it.